This post is part of a virtual book tour organized by Goddess Fish Promotions. 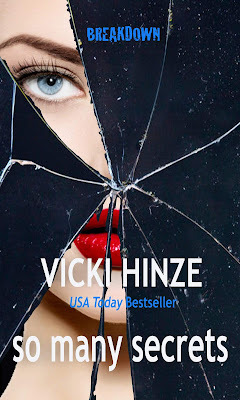 Vicki Hinze will be awarding a $25 Amazon or B/N GC to a randomly drawn winner via rafflecopter during the tour. See below to sign up for the GIVEAWAY and for all other stops on the tour. Even though this might be about a killer and of course, a murder, the interaction and friendship of the women involved makes the reading even more interesting. Maybe it is because they are from different careers, some running from horrors they can’t seem to overcome. Maybe because they have all had their fair share of bad things to handle. This is a series of 4 books all written by different authors. So Many Secrets happens to be Book 2. This is a series of cozies, but all the elements are there…cute safe little town, interesting cop, at least one mean person who is not what they seem to be, some nosy townspeople and some good friends set upon finding the killer, etc. Sounds sort of like where I grew up. Now by saying these are somewhat like cozies, I am not knocking this one bit. They are easy to read. So Many Secrets was a really quick read and they have an interesting storyline woven all the way through. While I enjoyed the book and felt that each author’s skill was equal to the others, Book 2 is not a stand-alone book. Be prepared to read all 4 books to “get the whole story” so to speak. However, I don’t think reading all 4 books would be a bad thing to have to do. I thought it was worth my time. she's been back many times with awards in multiple genres and appearances on multiple bestseller lists, including USA TODAY. Vicki is recognized by Who's Who in the World as an author and an educator and is best known for chilling suspense, trailblazing, and creating series that genre-blend. 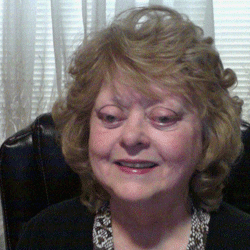 Her works include suspense, mystery and romance. Since 1994, this former VP of International Thriller Writers has written heavily about military and military families and in nearly all genres except horror. Hinze is a Floridian married to a former Hurricane Hunter/Special Operations Officer. She constantly pushes the boundaries on existing genres, opening the door for new novel blends.